Mycobacterium smegmatis can donate larger portions of its genome to other bacteria than previously thought, approaching the level of gene shuffling seen in sexual reproduction. In what appears to be a novel form of bacterial gene transfer, or conjugation, the microbe Mycobacterium smegmatis can share multiple segments of DNA at once to fellow members of its species, according to a study published today (July 9) in PLOS Biology. 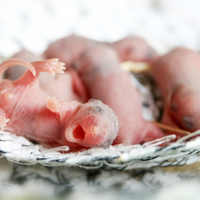 The result: the generation of genetic diversity at a pace once believed to be reserved for sexual organisms. “It is a very nice study providing clear evidence that, in Mycobacterium smegmatis at least, conjugation underlies much of species diversity,” said Richard Meyer, who studies conjugation at The University of Texas at Austin, in an email to The Scientist. Traditionally, transfer of genetic material through conjugation has been considered an incremental process. Plasmids mediate the transfer of short segments of DNA, one at a time, between pairs of touching bacterial cells, often conferring such traits as antibiotic resistance. But M. smegmatis, a harmless bacterium related to the pathogen M. tuberculosis, appears to use a more extensive method of gene shuffling, endowing each recipient cell with a different combination of new genes. The researchers dubbed this form of conjugation “distributive conjugal transfer.” “We can generate a million [hybrid bacteria] overnight, and each of those million will be different than each other,” said coauthor Todd Gray, a geneticist at the New York State Department of Health’s Wadsworth Center. 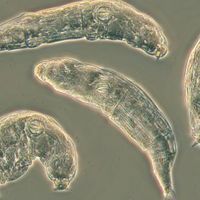 Coauthor Keith Derbyshire, also a geneticist at the Wadsworth Center, and colleagues had previously published data indicating that M. smegmatis used a novel form of conjugation, but the new study confirms and expands on their suspicions using genetic data. 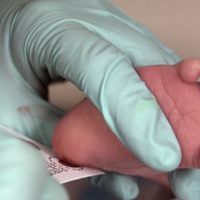 The researchers compared the whole genome sequences of donor and recipient bacteria before and after the massive gene transfers. The researchers found that, after the transfers, up to a quarter of the recipient bacteria’s genomes were made up of donated DNA, scattered through the chromosomes in segments of varying lengths. 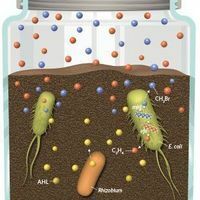 The genes and machinery behind distributive conjugal transfer remain largely unknown, but Gray, Derbyshire, and colleagues have zeroed in on a region of the genome that may determine whether a bacterium becomes a DNA donor or recipient. The region encodes the ESX-1 family of proteins, which are also involved in secreting molecules from M. tuberculosis that give the bacterium its pathogenicity. The researchers suspect distributive conjugal transfer is important in multiple species of Mycobacteria. 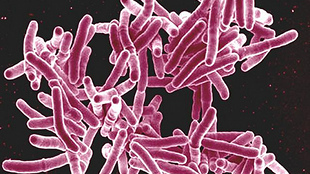 Earlier this year, Roland Brosch, a tuberculosis researcher at the Pasteur Institute in France, and colleagues sequenced various strains of the pathogenic M. canettii, which is closely related to M. tuberculosis, and found they were genetically variable—possible evidence of distributive conjugal transfer, according to Gray and Derbyshire. Brosch said he had not yet been able to demonstrate distributive conjugal transfer in M. canettii, however, and he noted that such large-scale gene transfer is unlikely to be occurring in M. tuberculosis, which is a highly genetically homogenous species that shows little sign of recent horizontal gene transfer. Brosch agreed with Derbyshire and Gray that distributive conjugal transfer could have been important in the evolutionary history of the Mycobacteria genus as a whole, however. Gray pointed out that understanding the prevalence of distributive conjugal transfer could change views on the time scale of mycobacterial evolution. “I think it’s really going to open some eyes about how quickly things can change,” he said. T.A. Gray, “Distributive conjugal transfer in Mycobacteria generates progeny with meiotic-like genome-wide mosaicism, allowing mapping of a mating identity locus,” PLOS Biology, 11: e1001602, 2013.